Without a doubt, the recent 4-3 win at Camp Nou will be a memorable night for Real Betis to savour for years. The home defeat, for Barcelona, will certainly give a lot for the team to think about during the international break. Not to mention that Atlético Madrid will be their opponents after the players return from their international duties. If they can’t beat Real Betis, chances are Barcelona will be dropping points against their title rivals at Wanda Metropolitano. So let’s be honest, Barcelona, despite being the first in La Liga, will need to do something in order to become greater in Europe. There’s one thing that Barcelona supporters will all agree on: losing Leo Messi as their star player to retirement from football is a big deal for the Catalan club – unless they can sign a decent replacement for the Argentine. However, as a Culé myself, I have an unpopular opinion on this. I believe that there is a huge assignment that Ernesto Valverde must finish before it’s too late to mend the damage caused. That is, fixing the defence of the squad. 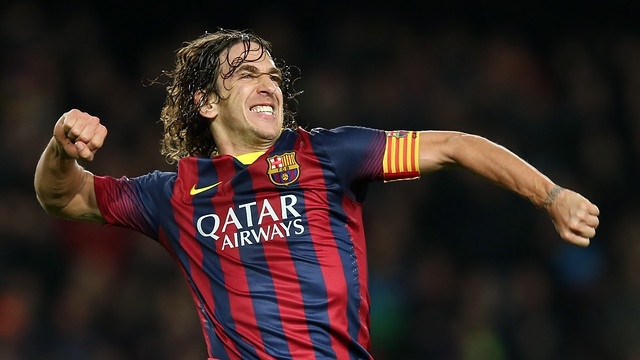 If you know Barcelona well, you’ll know that the guy inside the featured image is Carles Puyol. Having played as a defender in his career, he’s the former captain of Barcelona before passing the armband to Andrés Iniesta. In the meantime, Valverde loves to stick to his trustworthy four-man defence: Sergi Roberto (or Nélson Semedo), Gerard Piqué (or Thomas Vermaelen), Clément Lenglet (or Samuel Umtiti) and Jordi Alba. The thing is, while Piqué is clearly the most experienced player in the back half, he himself is regressing. At 31, Piqué is ageing and started to make mistakes which cost the squad the precious points. I could still remember how awful he was when his wrong pass gifted Leganès the winning goal. The rest are, certainly, better but it’s still horrifying to contemplate. Meanwhile, where are the La Masia defenders who only got chances in the Copa del Rey? Why aren’t the best performers given a chance to play in La Liga? Also, Valverde tends to ask his players (defenders included) to push forward to create chances to score. While it’s nice to feed the ball to the forwards (somehow accustomed to Messi’s needs), the midfield and defence become vulnerable at the back. Without a doubt, when the opposition decided to launch a counter-attack, say, after a failed corner attempt, chances are the whole Barcelona defence will be caught off-guard and they’ll be able to find the back of the net. I’d say, Barcelona must be in search for a leader who’ll be doing the stuff Puyol did in the past. The current XI tends to lose concentration when they take the lead, so there should be someone who’ll tell his teammates not to be too confident in winning. This is also the reason Barcelona were eliminated from the Champions League last season. The squad did win 4-1 at Camp Nou, but we know that the travelling squad lost 3-0 away with Manolas netting the decisive goal to knock the Catalan club out, owing to the away goal rule by the UEFA. I’m not sure if it’ll help to turn the tide for Barcelona to advance to the semi-final but I certainly believe that if Puyol was in the team, they wouldn’t have lost badly and got beaten by the Italians. It is one of my favourite quotes in football. Trophies may not matter but the performance of the team does. Unfortunately, Piqué may be the only current player who can do the job. Perhaps a new name in the dressing room needed at Camp Nou? Be it a foreign player or a homegrown talent, Barcelona should be conscious about the development of the whole future lineup instead of just focusing on replacing Messi. If Bartomeu’s men in the transfer section don’t look into this issue, it’s going to be costly. And I’m pretty glad that Barcelona lost to Betis. Why? It forces Valverde to rotate his squad to replace the suspended Rakitić so that either Denis Suárez or Carles Aleñá can get a berth in the starting eleven, even for just a few games.